Go to menu items manager in back-end. Try again to save the menu item. If a 3pd uses the same field name for other stuff than articles, it would remove the field. I'm also concerned because I don't understand this necessary hardcoding of field names inside models when I read the introduction of pr #12414 of @Hackwar concerning "hardcoded behavior" and "hardcoded filters" . At the moment this pr here and #23501 are just bad "outsourcing of occuring new issues" somehow. On the other hand the line $form->removeField('show_associations', 'params'); provides the fields group, too. Shouldn't that be sufficient to avoid field name conflicts? I don't know. I don't know how similiar behavior can be implemented in the concerning field classes directly or if that's possible anyhow. This comment was created with the J!Tracker Application at issues.joomla.org/tracker/joomla-cms/23700. @infograf768 you have effectively already hardcoded the usage of that parameter name. If you have issues with the Form changes, then maybe make sure that the associations field doesn't behave in the way it does. I had nothing to do with these changes. It is not an association field per se as in the Associations Tab. show_associations just lets show for an article in frontend an icon or lang tag of the associated article in the block. Saving Site menue > Error "0 Call to a member function validate() on bool "
After Patch, message has gone. Please do NOT set this as RTC until @Hackwar and @joomdonation give more precise informations on a better way to solve this. To me, #1 would be better. As explained above (see screenshot) this is only used for com_content articles in the info_block/ associations layout. 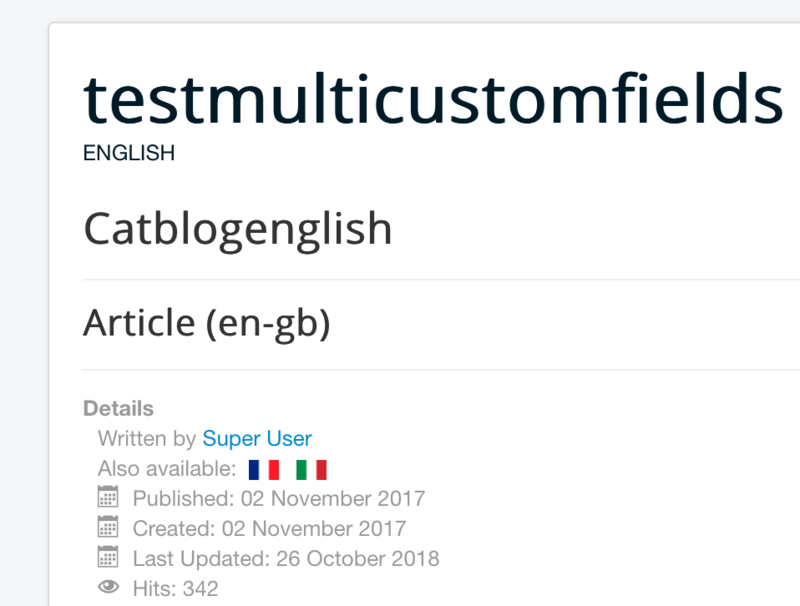 I don't work much with multilingual, so I am unsure. I will try to look at this issue later today to see what's the actual reason of the error and hopefully can come up with a proper fix. Tested this and it works fine. It's certainly wrong to have this code in com_menus. It's a com_content specific parameter. If you want this to be conditional, you will have to try with a custom formfield for com_content. @joomdonation Unless this change is documented somewhere, option 2 is the proper fix. The form should not fail when FormField::setup() returns false. @SharkyKZ I think the field should not belong to the form when association is disabled, so for me, remove the field when it's not needed is better than just ignoring the error.